Why Is The Global Shipbuilding Business Struggling? : Parallels One word: oversupply. Too many ships were built before the 2008 global economic crisis. This drove down shipping rates, forcing the industry to scale back. The effects are still being felt. This week, a Finnish shipbuilder said it would close a yard that employed 700 workers. Why Is The Global Shipbuilding Business Struggling? Laborers stand on a new ship at a Rongsheng Heavy Industries shipyard in Nantong, China, in 2012. The troubles at Rongsheng, China's largest private shipbuilder, mirror what's happening in the global industry. There's news this week that shipbuilder STX Finland will close what it describes as "the world's leading ferry builder," a yard where the company also built small cruise ships, icebreakers and naval craft. The company blamed economic conditions for the closure of the Rauma Shipyard. Work from there will be shifted to the company's facility in Turku. About 700 people will lose their jobs. "The anticipated volume of future demand is not enough to sustain two shipyards at STX Finland," the company said in a statement. "The Turku Shipyard is able to build all types of vessels. The restructuring will not limit the company's offering or reduce the volume of its operations." The troubles at STX Finland mirror much of what's happening in the global shipbuilding industry. The company is a subsidiary of South Korea's STX PanOcean, which itself filed for bankruptcy in June. 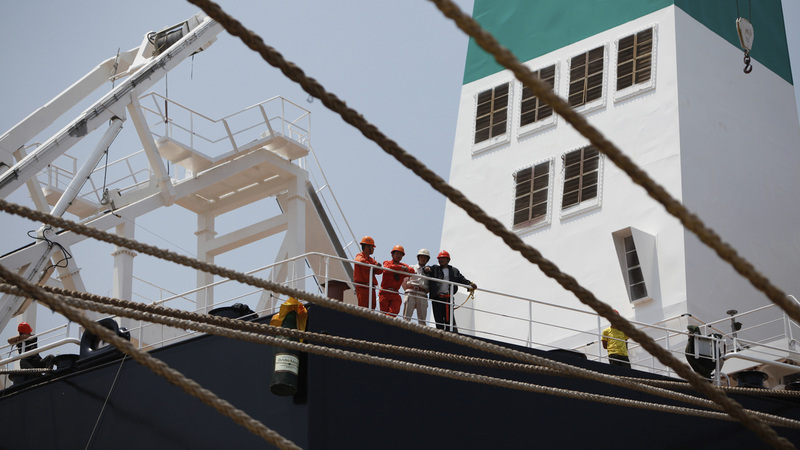 At the time, the company said a "combination of a sharp decline in freight rates, a delayed industry recovery, oversupply of ships due to an increased production at Chinese shipyards and higher fuel costs drove up debt and squeezed margins." The problems aren't confined to South Korea, the world's second-largest shipbuilder. "China's shipbuilding industry as a whole is suffering a divergence of supply and demand — new orders fell 23% at the end of May from a year earlier and the ships that are being sold have fallen in price. To compound problems further, an ongoing liquidity crisis has diminished access to loans, squeezing shipbuilders even more." The trade association for China's shipbuilding industry said up to one-third of the country's yards may close in five years amid a glut of vessels. China is the world's top shipbuilding nation. These failures come even as some companies continue efforts to build ever-larger vessels. "The new class of ship is called the Triple-E, and Maersk has ordered 20, at a cost of $185 million each. They're 1,312 feet long, 194 feet wide, and weigh 55,000 tons empty. Stand one on its stern next to the Empire State Building, and its bow would loom over the heads of those on the observation deck; a single link from its anchor chain weighs 500 pounds." But shipping is a cyclical industry, and, Bloomberg Businessweek says, it might be a while before anyone else builds ships this big. "When the global economy is booming and trade healthy, shippers scramble to meet demand with more and bigger ships. But the time it takes to build them is just long enough, in many cases, for booms to end and global trade to sputter. As more and more new vessels come online, the glut exacerbates the collapse in shipping prices, the industry scales back, companies go out of business, and the process begins again. Somewhere in the trough of that cycle is where the Triple-E is being born. A year ago, according to the British shipping consultancy Drewry, it cost $2,900 to ship a container from Hong Kong to Los Angeles. Since then rates have dropped by a third." But it may not be all bad news for shipping, an industry that transports 90 percent of everything we buy. Global shipping freight rates rose last week to their highest level in more than 18 months. The measure, known as the Baltic Dry Index, is seen as a key indicator of global economic growth. The index tracks how much it costs for ships to carry dry-bulk commodities such as iron ore and coal. It reached a peak in 2008, but collapsed in 2008 partly because of a record program of shipbuilding around the world. The latest rise in the index was attributed to China's demand for iron ore, but analysts cautioned The Wall Street Journal not to read too much into the latest jump.